In today's global markets and increasing emphasis on quality, need for laboratry data has increased many fold and top of that accuracy and reliability of data is an another concern. 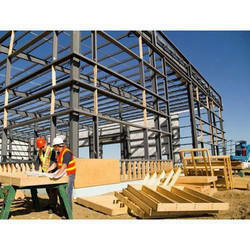 Our construction material engineering and testing credentials speak for themselves. our professional engineers havingvast experience and understanding of construction materials and construction practies our team of engineers and tecnicians help our clients anticipate and minimize potential issuse and delays. 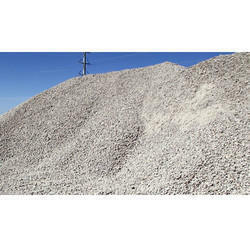 STRC has experience in testing wide range of construction materials,including Cement,Concrete, Aggregates, Admixture, Flyash, Masonary, Tiles, Wood, Steel, Aluminium, Bircks, Query stones,WMM, GSB and many more. Our team of consultants and technologists create customized testing programs to meet the demands of manufacturers having proprietory products. Rebound Hammer Test is done to find out the compressive strength of concrete by using Rebound Hammer as per IS:13311 (Part 2) â€“ 1992. The rebound of an elastic mass depends on the hardness of the surface against which its mass strikes. When the plunger of the rebound hammer is pressed against the surface of the concrete, the pring-controlled mass rebounds and the extent of such a rebound depends upon the surface hardness of the concrete. With so many factors contributing to the final 150 mm saturated cube strength, the strength variation may be / - 10% - 15%. However, it can be used to confirm the results of UPV differing largely in the values & also for co-relation. Hence the UPV & core results should be judiciously used, interpreted & co-related. Sigma is a ISO 17025:2005 accredited testing laboratory providing cement testing through Chemical analysis ,Compressive strength, Fineness, Heat of Hydration, Setting Time and more through various IS tests like IS: 4031 (P-5) 1996, IS: 4031 (P-3) 1990. 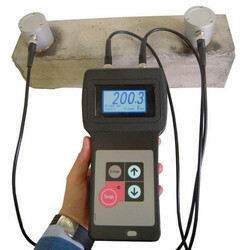 The most common strength test, compressive strength, is carried out on a 50 mm (2-inch) cement mortar test specimen. The test specimen is subjected to a compressive load (usually from a hydraulic machine) until failure. The fineness of cement has an important bearing on the rate of hydration and hence on the rate of gain of strength and also on the rate of evolution of heat. Greater fineness increases the surface available for hydration, causing greater early strength and more rapid generation of heat. 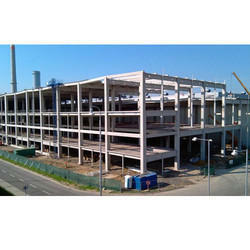 Cement fineness play a major role in controlling concrete properties. Fineness of cement affects the place ability, workability, and water content of a concrete mixture much like the amount of cement used in concrete does. When cement is mixed with water, heat is liberated. This heat is called the heat of hydration, the result of the exothermic chemical reaction between cement and water. The heat generated by the cement’s hydration raises the temperature of concrete. 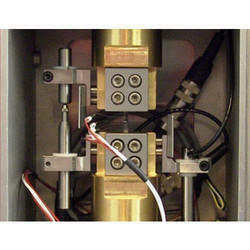 The loss on ignition is reported as part of an elemental or oxide analysis of a mineral. The volatile materials lost usually consist of "combined water" (hydrates and labile hydroxy-compounds) and carbon dioxide from carbonates. It may be used as a quality test, commonly carried out for minerals such as iron ore. For example, the loss on ignition of a fly ash consists of contaminant unburnt fuel. Initial setting time is the time that elapsed from the instance of adding water until the paste ceases to behave as fluid or plastic. Whereas final setting time referred to the required for the cement paste to reach certain state of hardness to sustain some load. Soundness refers to the ability of a hardened cement paste to retain its volume after setting. 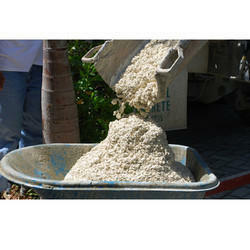 Lack of soundness is observed in the cement samples containing excessive amount of hard burnt free lime or magnesia. 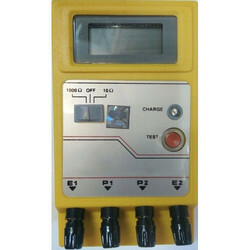 Scrubbing Resistance test helps in determining the resistance of paints to erosion caused by scrubbing. Although scrub resistance tests are intended primarily for interior coatings, they are sometimes used with exterior coatings as an additional measure of film performance. XENON Arc test helps in determining the ability of a paint or coating to resist deterioration of its physical and optical properties caused by exposure to light, heat, and water can be very significant for many applications. This practice is intended to induce property changes associated with end use conditions, including the effects of sunlight, moisture, and heat. The exposure used in this practice is not intended to simulate the deterioration caused by localized weather phenomena such as atmospheric pollution, biological attack, and salt water exposure. Volatile Content test helps in determining the weight percent volatile content of solvent-reducible and water-reducible coatings. 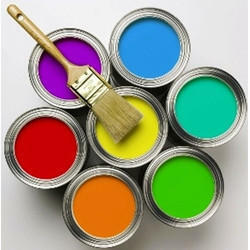 The amount of water that paint coat could absorb is measured by the water content test. Water content or moisture content is the quantity of water contained in a material, such as soil (called soil moisture), rock, ceramics, fruit, paint or wood. Water content is used in a wide range of scientific and technical areas, and is expressed as a ratio, which can range from 0 (completely dry) to the value of the materials' porosity at saturation. It can be given on a volumetric or mass (gravimetric) basis. Abrasion Resistance test helps in determining the ability of a coating to resist degradation due to mechanical wear by hard and rough objects. Abrasion resistance can be enhanced by incorporation of surface modifying additives. Sigma is a NABL accredited laboratory as per ISO 17025:2005 , ISO 14001:2004 delivering an extensive range of building material tests from the pre-construction phase till post-construction, analyzing the quality of building materials testing on soils, rocks, aggregates, concrete, bricks-blocks, steel and polymers. This test is not is not too dissimilar from the test to determine the aggregate crushing value. But instead of using a standard force of 400kn., the force at which 10% of fines is produced is noted as the Ten Percent Fines Value.This usually requires a number of tests and a graph to establish the exact figure. 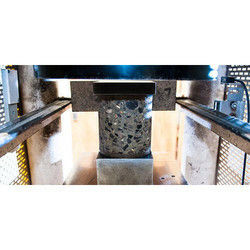 This test tends to be used for softer aggregate where a force of 400kn. would crush most or all of the aggregate. Test Method : IS:2386 (P-4)1963. The total chloride content of aggregate is usually measured to assess whether the aggregate's contribution to the total chloride content of a concrete mix will be low enough to prevent the early onset of corrosion of any embedded steel reinforcement. This test helps in determining the particle size distribution of a granular material. 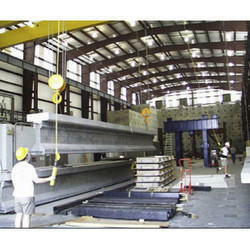 The size distribution is often of critical importance to the way the material performs in use. A sieve analysis can be performed on any type of non-organic or organic granular materials including sands, crushed rock, clays, granite, feldspars, coal and soil, a wide range of manufactured powders, grain and seeds, down to a minimum size depending on the exact method. Being such a simple technique of particle sizing, it is probably the most common. Sigma is a NABL accredited testing laboratory providing Concrete testing services by analyzing the strength, durability of concrete by ultrasonic survey, chloride content, cube compressive strength, IS: 15658-2006, IS: 516-1959,AASHTO T277 and more. Design mix test helps in determining the suitable ingredients of concrete and determining their relative amounts with the objective of producing a concrete of the required, strength, durability, and workability as economically as possible, is termed as concrete mix design. It involves studying properties of Aggregate, Cement, water & Admixture (if any) in use to determine the proper concrete mix. Measuring the calcium chloride content of concrete is used to determine how dry the concrete is. This test is useful to tell if the concrete is ready for projects such as installing flooring on top of the concrete slab. Though some conditions can alter the results, such as the season of the year, the porosity of the concrete, or the mixture of the concrete, a calcium chloride test usually provides a good determination of the usability of concrete. The chloride permeability of normal weight concrete subjected to static and repeated compressive loading was evaluated by using this test method. The test results indicated that the chloride permeability of concrete subjected to static and repeated loading increased at an increasing rate with its residual strain. 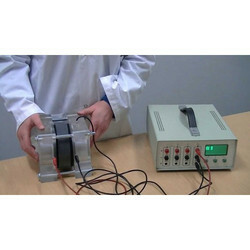 This test covers the determination of the electrical conductance of concrete to provide a rapid indication of its resistance to the penetration of chloride ions. Chloride Ponding test helps in determining the depth to which chloride ions can ingress into concrete over a period of time in standard conditions. It can be used to assess a concrete for its resistance to chloride attack and thus protection of the reinforcement from corrosion. 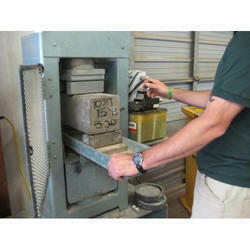 The cube test is the test most commonly used for determining concrete strength. The value of compressive strength can then be used to assess whether the batch that the concrete cube represents meets the required compressive strength. A cube of concrete in cast is cured for the appropriate time and is then compressed between two parallel faces. The stress at failure is taken to be the compressive strength of the concrete. Carbon dioxide penetrates in the concrete pores. 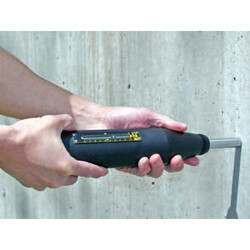 This penetration is more fast when concrete is more porous. It can then react with cement and form carbonates. This reaction decreases the concrete Ph. So, carbonation starts on concrete surface, and concerns some thickness (called carbonation depth) of this material.Carbonation is a particularly important form of deterioration. Enough carbonation gives concrete the immediate positive effects of increased; compressive strength, modulus of elasticity, surface hardness, resistance to frost, sulphate attack, internal stresses and the ultimate reduction of the structure's capacity. Sigma is a NABL and ISO / IEC 17025:2005 accredited laboratory delivering cutting-edge Brick Testing services for different types of Bricks like clay bricks, fly ash/Lime bricks, acid resistance bricks, fire resistance bricks, refractory bricks through various IS tests like IS: 1528 (P-8,9)1974IS: 13757 / IS: 12894, :IS: 5688-1982 and more. We provide Brick Testing in our Material Testing Laboratories. . This Brick Testing helps in determining the porosity and density of bricks to be used for construction of load bearing walls. The method involves dimensional measurement and mass to determine density, followed by measuring the increase in mass when soaked in water for a standard period. Any one of a number of methods of measuring creep, for example, by subjecting a material to a constant stress or deforming it at a constant rate is called creep test. Creep in compression (CIC) refers to the percent of shrinkage of a refractory test piece under a constant load and exposed to a constant high temperature over a long period of time. 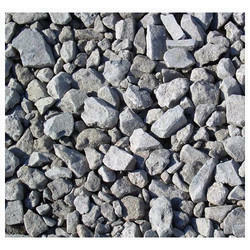 Fly Ash Bricks are an environment friendly cost saving building product. These Fly ash bricks are three times stronger than conventional bricks with consistent strength. In presence of moisture, fly ash reacts with lime at ordinary temperature and forms a compound possessing cementitious properties. After reactions between lime and fly ash, calcium silicate hydrates are produced which are responsible for the high strength of the compound. Bricks made by mixing lime and fly ash are, therefore, chemically bonded bricks. 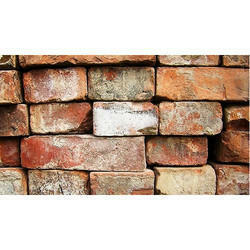 These bricks are suitable for use in masonry just like common burnt clay bricks. Thermal conductivity depends upon the chemical and mineralogical compositions as well as the glassy phase contained in the refractory and the application temperature. The conductivity usually changes with rise in temperature. In cases where heat transfer is required though the brick work, for example in recuperators, regenerators, muffles, etc. the refractory should have high conductivity. Low thermal conductivity is desirable for conservation of heat by providing adequate insulation. 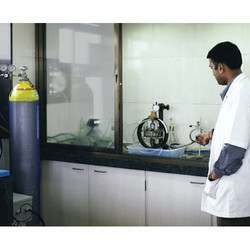 Particle Size test helps in determining the percentile quantity of particles of known diameter within a sample. The specimen can be either passed through a set of standard sieves in its natural state, or if a significant amount of binding material is present, such as clay, then the sample can first be washed over a small aperture sieve to remove the binding material. 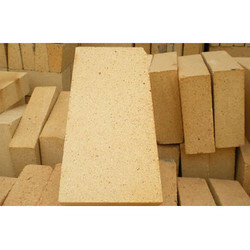 Apparent porosity, water absorption, apparent specific gravity, and bulk density are primary properties of burned refractory brick and shapes. These properties are widely used in the evaluation and comparison of product quality and as part of the criteria for selection and use of refractory products in a variety of industrial applications. 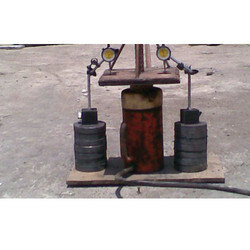 Cold Crushing Strength test helps in determining the strength of a brick. It tells us how much load that refractory can bear in cold conditions. The concept of testing CCS of a refractory material has perhaps, come from metallurgy. This is because for any refractory brick it is rather; rare that it would fail simply due to load on it in cold condition and therefore, the determination of cold crushing strength does not appear to be important from that point of view. A useful property of refractories is bulk density, which defines the material present in a given volume. 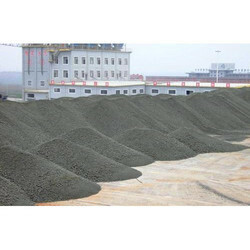 An increase in bulk density of a given refractory increases its volume stability, its heat capacity, as well as resistance to slag penetration. Refractory materials must maintain dimensional stability under extreme temperatures (including repeated thermal cycling) and constant corrosion from very hot liquids and gases. The standard for refractory materials restricts compressive creep (deformation at a given time and temperature under stress) for normal working conditions to no more than 0.3 percent in the first 50 hours. Test Method : IS:1077-1992, IS:10570-1983. Reliable Granite testing is delivered by ISO 17025:205 accredited Sigma through diverse tests like Water absorption, Mohs Hardness, Modulus Rapture, Dimension Testing by meeting the IS specifications and regulations. Ceramic tile frost resistance is defined as the ability of ceramic tile to withstand freeze/thaw conditions with minimal effect. The frost resistance of ceramic tile is dependent on the tile's porosity and water absorption levels. Frost damage can occur when the variety of ceramic tile absorbs moisture through its pores, causing the water to freeze internally when temperatures drop. Since water expands when it freezes, tension is then exerted inside the body of the ceramic tile. This internal pressure may become high enough to cause cracks in the ceramic tile. Chemical Resistance test is done to determine the ability of the grade of granite used by a1-safetech to resist chemical attack. 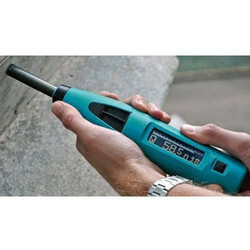 Mohs Hardness test helps in determining the hardness of rock. Because granite is a rock composed of multiple minerals, only crystals of specific minerals within the granite would be tested for hardness. Sigma is a NABL accredited testing laboratory delivering steel testing services for construction, building materials, aircraft maintenance, refineries through diverse tests like Bend test, elongation, ASTM A36, IS: 1608-2005, Rebend test, 0.2% Proof stress / Yield stress and more. Bend Test helps in determining the ductility, but it cannot be considered as a quantitative means of predicting service performance in bending operations. The severity of the bend test is primarily a function of the angle of bend and inside diameter to which the specimen is bent, and of the cross-section of the specimen. These conditions are varied according to location and orientation of the test specimen and the chemical composition, tensile properties, hardness, type, and quality of the steel specified. Test Method : ASTM E8 M-09? The purpose of re-bend test is to measure the effect of strain ageing on steel. Strain ageing has embrittlement effect which takes place after cold deformation by diffusion of nitrogen in steel. 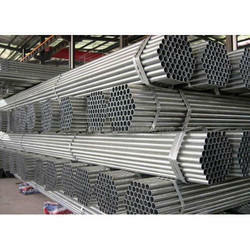 Hence, there is limitation stated in some design codes to restrict the nitrogen content of steel to 0.012%. 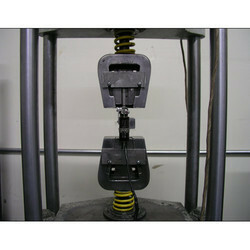 Ultimate Tensile Strength test helps in determining the maximum stress that a material can withstand while being stretched or pulled before necking, which is when the specimen's cross-section starts to significantly contract. The box compression test (bct) measures the compressive strength of boxes made of corrugated fiberboard as well as wooden boxes and crates. It provides a plot of deformation vs compressive force. Containers other than boxes can also be subjected to compression testing: drum, pail, etc. 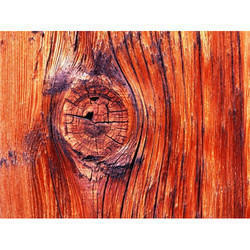 Wood-based panels test helps in determining the structural panels of uniform properties within a panel. It is useful for evaluating plywood of clear, straight-grained veneers, and determining the effect of chemical or preservative treatments, construction, principal direction with respect to direction of stress, and other variables that are expected to uniformly influence the panel. Absorbability test helps in determining the quantity of water absorbed in a specified time through the surface of an overlaid wood-based panel. The test method measures the rate of water weight gain within a controlled surface area of the overlaid panel surface when exposed to standing water. Swelling in thickness test helps in determining the effect of ambient environment, temperature and relative humidity, on the hygroscopic thickness swelling rate of wood fiberboard and wood fiber/polymer composites. A swelling model describing the thickness swelling process of composites exposed to water vapor conditions was developed, from which the parameter, KSR, can be used to quantify the swelling rate. Modulus of elasticity test helps in determining the flexural stiffness and modulus of elasticity properties of wood-based materials by nondestructive testing using transverse vibration in the vertical direction. The purpose of this test is to design a compression shear device for easy and fast measurement of the bonded shear strength of wood-based materials. Moisture content test helps in determining the moisture content (MC) of solid wood, veneer, and other wood-base materials, including those that contain adhesives and chemical additives. Sigma is an ISO 9001:2008 certified laboratory delivering on-site testing of earth ground resistance and soil resistance based on wenner 4-point method and IS: 15736-2007 for ensuring equipment and manpower safety. Prior to the test, the rebound hammer should be tested against the anvil to get reliable results for which the manufacturer of the rebound hammer indicates the readings on the anvil suitable for different types of rebound hammer. On applying light pressure on the plunger it will release it from locked position and allow it to extend to the ready position for the test. 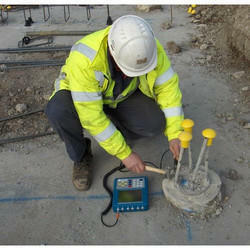 Press the plunger to the surface of the concrete, instrument being perpendicular to the test surface. Apply a gradual increase in pressure until the hammer impacts. Take an average of about 15 readings. 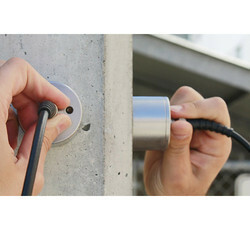 Sigma is an ISO 9001:2008 accredited laboratory delivering Ultrasonic testing of concrete with path length measurement, perpendicular crack depth measurement and surface velocity measurement, giving information on uniformity of concrete, cavities, cracks and defects through IS 13311-Part 1. Sigma is NABL and ISO / IEC 17025:2005 accredited laboratory providing extensive test facilities for construction and building material testing by measuring the compressive strength, quality and uniformity of concrete by Rebound hammer test-IS:13311. 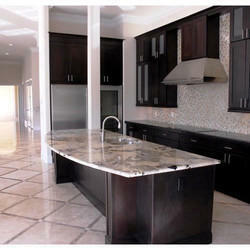 Through regular research and development, we are offering an exclusive collection of Concrete Mix Design. 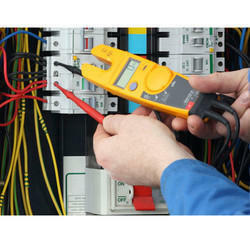 These services are rendered by experts according to the client’s requirement and work. In addition to this, offered concrete mix design services are appreciated due to their reasonable prices, and perfect execution.